Exceptional detail; high quality components. 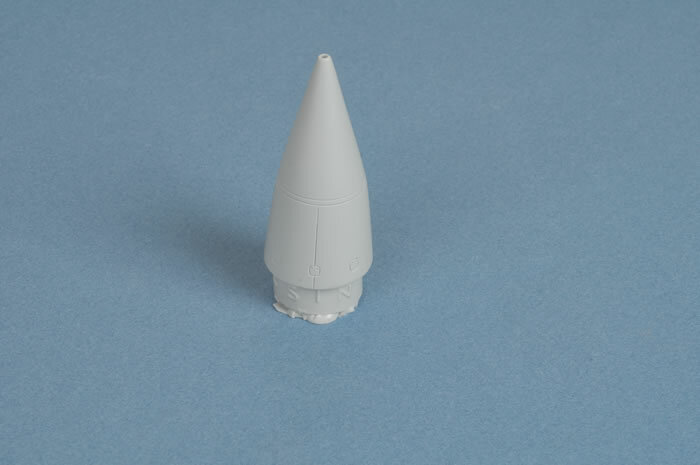 Although the kit nose cone is relatively accurate in shape, its panel detail is not. In this rendition Eric has added all the missing detail which includes the prominent panels that cover the radome attachment bolts and there is no centreline seam to fill and clean up. Wow, I spent many hours with my head buried in the Mirage wheel wells during my time in the RAAF. Eric has captured all of the intricate detail in both the main and nose wheel wells. The prominent air condition pipes in the nose gear bay are all present as is the access panel in the main gear bays to access the engine ancillary area. Also present is the lower fuselage fuel tank panel and the prominent fuel boost pumps. 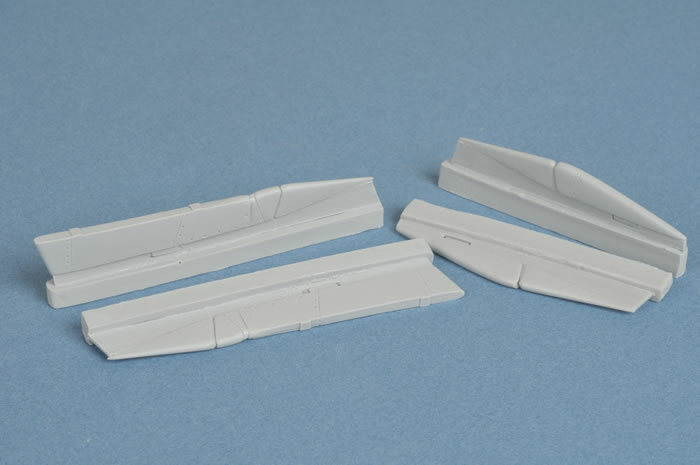 The main gear bays will require careful dry fitting to ensure that they fit intol the wing area as the roof of the main wheel well is the upper wing skin. The kit has the intakes that end in the open fuselage. These new intakes provide intake trunking that draw the eyes to the engine face. Some simple work can then be performed to complete the intake back to the engine face. The parts have the correct panel line detail engraved as well as the prominent access panel engrave on the front of the intake shock cone. 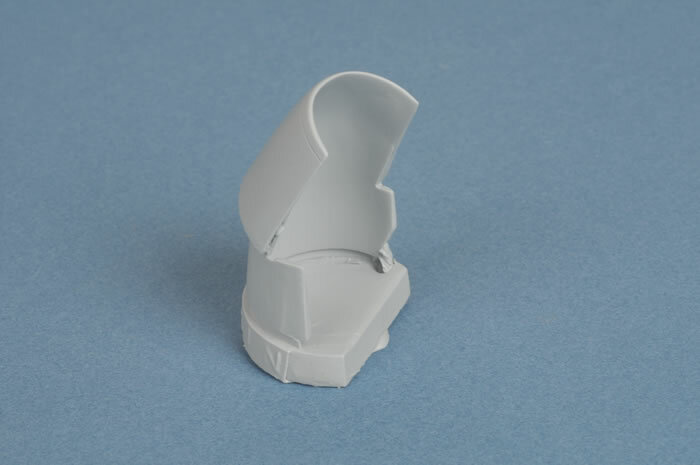 This part has a more accurate brake chute container moulded to the top of the tail cone as well as accurate panel detail including the covers for the tail cone attachment bolts. 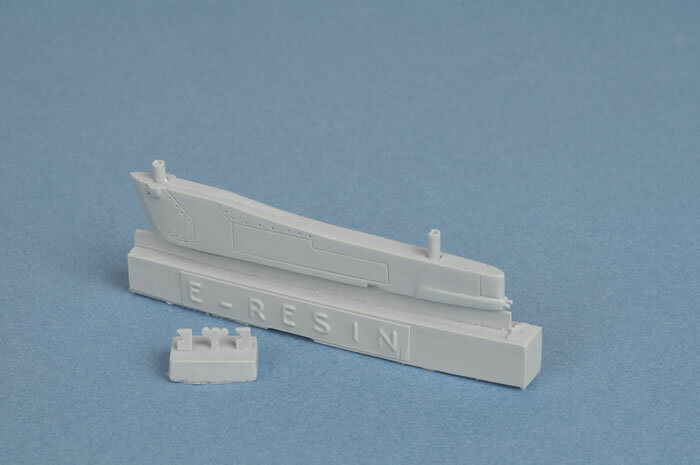 One of the issues with the kit is that Revell only supply RPK10 110 gallon fuel tanks. These are only carried when the Mirage was to carry bombs under the wing, in Australian service these would have 4 x Mk500lb US Bombs on each tank either low drag or high drag or 2 x Mk500lb US Laser Guided Bombs. The RPK10 is longer than the standard French Supersonic tank due to the four bomb release units that impinge on the tanks fuel capacity hence the extra length. 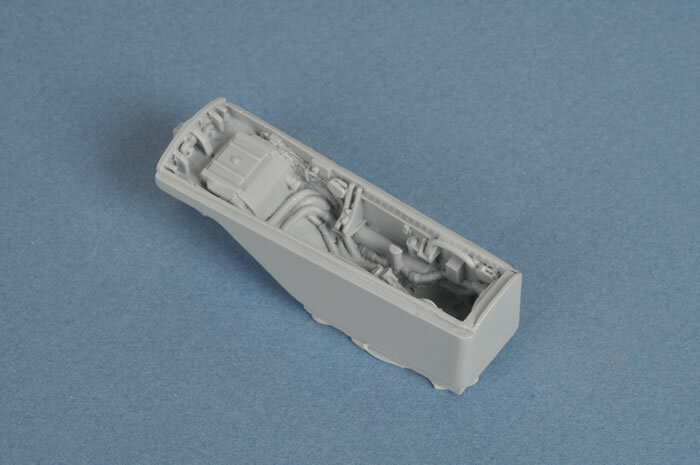 Also the included RPK10 tanks have very little detail and no pylon detail. The reason I term these French tanks is that the RAAF used a shorted area rule 110 Gallon tank that had three small fins fitted to the rear. These were termed Israeli tanks as these were sourced from Israel in an exchange for other Mirage equipment. These French tanks from Eric look superb, they are the correct length and shape and has all of the required panel detail fitted. They are handed left and right so be careful during fitment. The pain in the backside French fuel filler cap has been captured nicely, this had a pressure bleed screw in the middle to release the tank pressure prior to turning the cap to remove. Quite often this jammed and the whole cap would rotate and then fly vertically almost scalping the ground crew if they were not aware. These can be purchased either drooped or streamlined. The only time the elevons are streamlined is when hydraulic power is supplied by either the engine, emergency hydraulic pump or ground hydraulic rig. At all other times they are drooped. 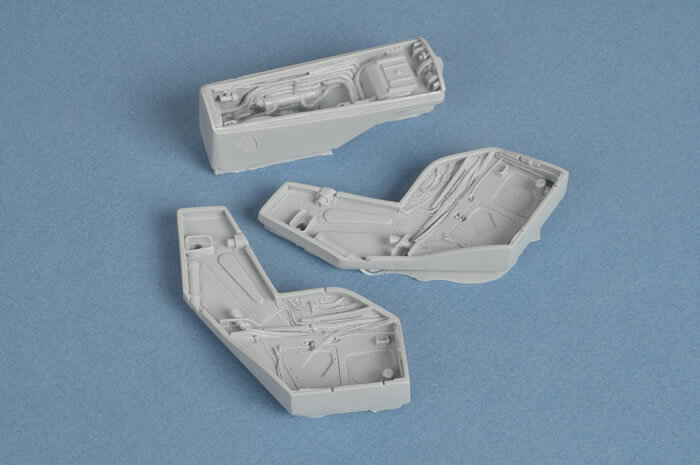 Once again Eric has captured all the detail missing from the kit portraying the three piece cover accurately. 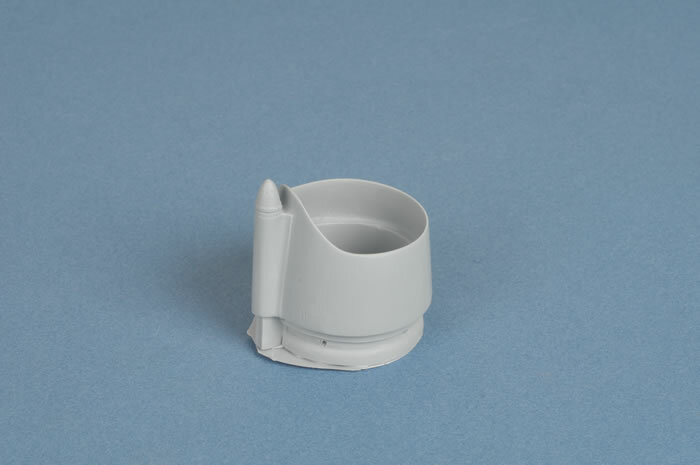 The outer elevon covers have the missile pylon fitted and this has been done accurately as the forward part of the elevon cover is removed and replaced by the pylon unlike that supplied in the kit which has it as an add-on to the elevon cover. A new addition something not supplied in the kit. 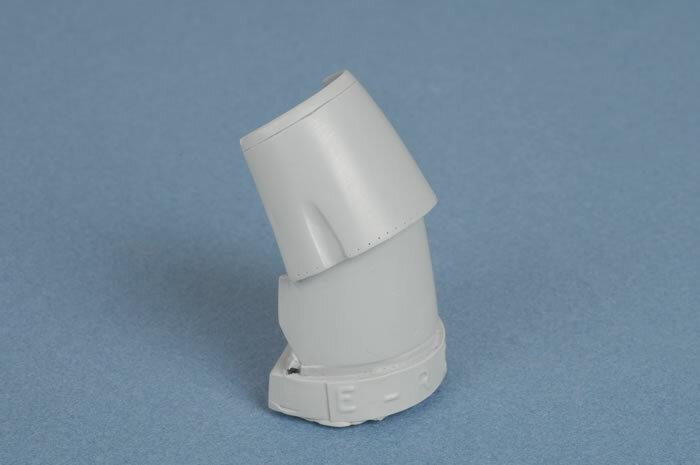 This accurate pylon allows you to fit a Matra 530 to the centre line pylon attachment. 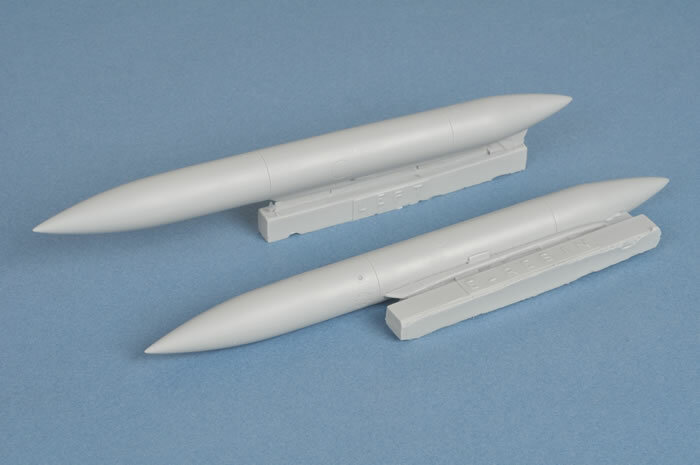 This ten piece set allows you to construct an accurate Matra 530 radar guided missile. I have little to say about this but brilliant. The body and fin detail is superb and will look great when complete. 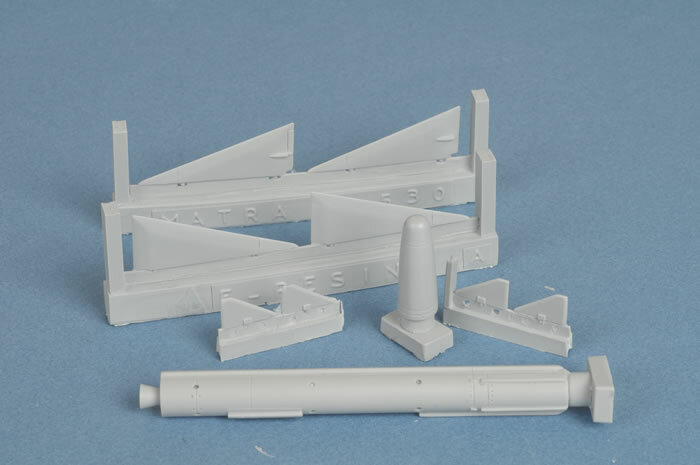 Eric has mentioned that future subjects may include an Atar 9C engine nozzle and Matra 550 Magic missiles, launch rails and adapter and for this one I looking forward to its release.